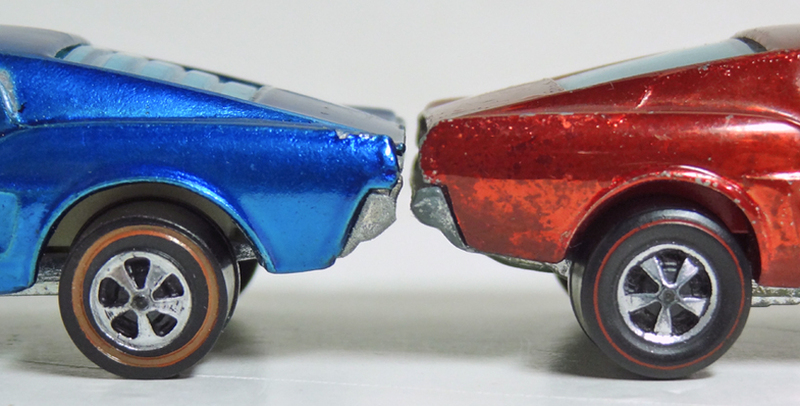 There were three basic designs of wheels used on Hot Wheels cars during the redline era from 1969 to 1977. 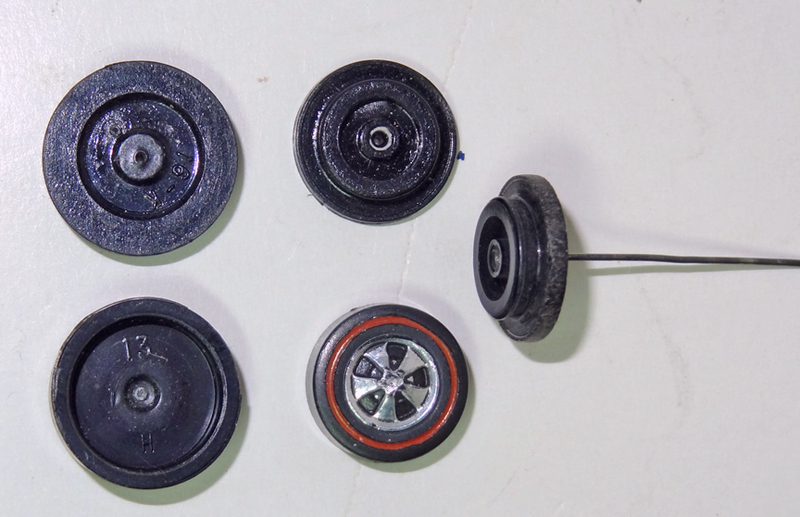 The bearing wheel system was the system designed for the first Hot Wheels cars in 1968. The wheel snaps onto a small "delrin" bearing that is permanently fixed onto the piano wire axle. 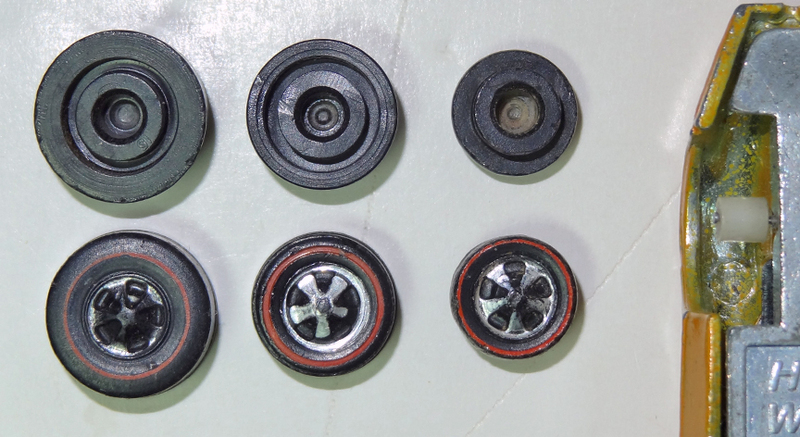 The wheels came in three sizes and were interchangeable as the bearing is a common size. The wheels on US produced cars differ from the wheels found on the HK produced. The HK wheels are commonly known as "deep dish" due to the deeper contour of the tire at the wheel hub. The US wheels have a silver paint whereas the finish on the HK wheels look more like chrome. The capped wheel system was phased in during the second year of production. The decorative outer part of the wheel (cap) snaps onto the rear piece which is permanently attached to the wire axle. The wheels came in several sizes. There is no obvious difference between the US and HK wheels. The caps can be changed to improve the look of a car with worn paint. By 1973 all production had moved to HK and the One Piece or Thru Hole wheel system was phased in. The Thru Hole wheel is a single piece and is permanently attached to the thicker axle. notably on the P911 and the Baja Bruiser.